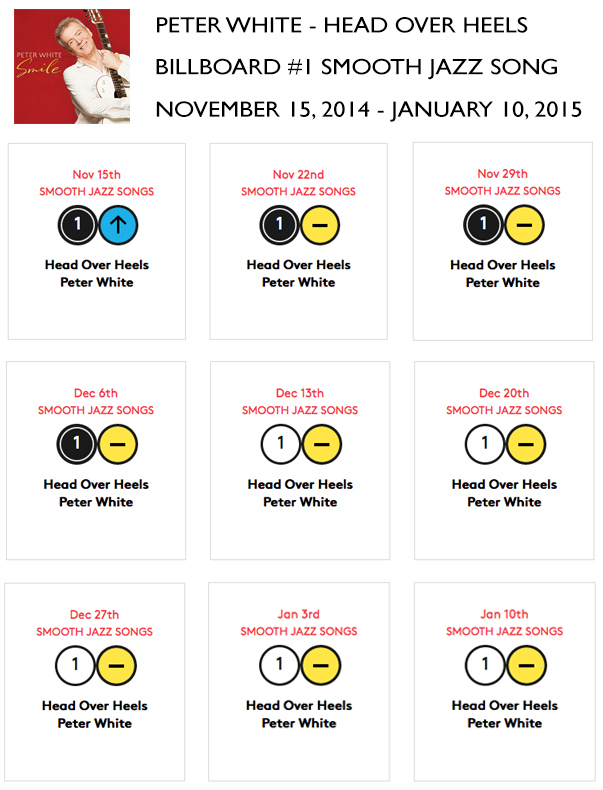 “Head Over Heels”, the first single from Peter White’s latest album Smile has been making a splash. The song hit No. 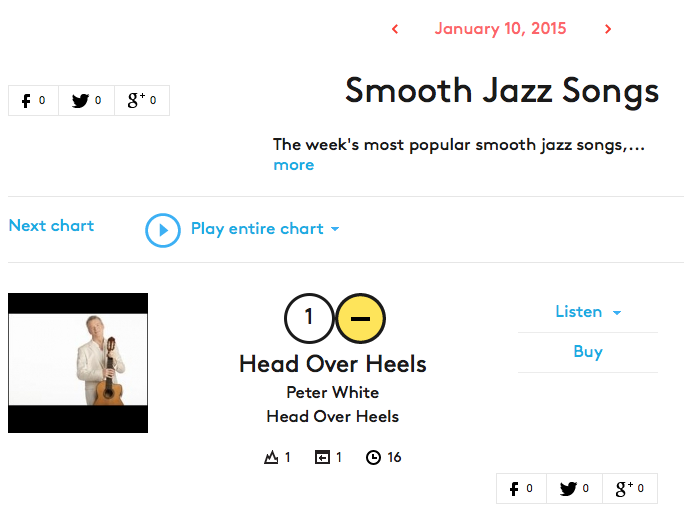 1 for 9 straight weeks on Billboard‘s Top Smooth Jazz Song chart from November 15, 2014 to January 10, 2015. Rick Braun’s energetic playing on flugelhorn is featured throughout, and the two definitely know how to boogie and have a cause for celebration. Visit www.peterwhite.com or any of the links below to hear song samples of the album. White’s goal on every album is “to produce a story that has adventures; that has different styles that take you to different places,” and he does just that. Co-Producer DC joins White on Smile along with special guests vocalist Mindi Abair, trumpeter Rick Braun, soprano saxophonist Euge Groove, keyboardist Philippe Saisse, bassist Nate Phillips, violinist (and daughter) Charlotte White, Ramon Yslas on bongos and vocalist Stevo Theard. ‹ Peter White’s New Album Will Make You ‘Smile’! Dear Peter. I love this CD. but then I love all of your CD’s!!!! You are the absolute best. Give Charotte a big hug and tell her how wonderful she played. Come back to Chicago and I will be there.